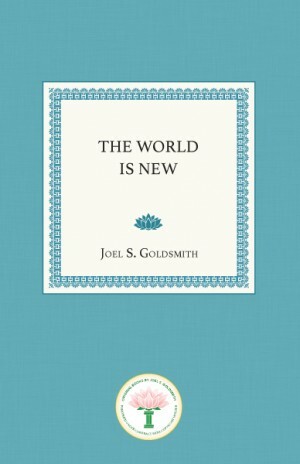 The World Is New is a superb exposition of Joel Goldsmith’s path to practical spirituality called The Infinite Way. The major theme of The World Is New is that recognizing our spiritual identity as the Christ, or God appearing as individual being, makes for newness of life. “The world is new to every soul when Christ has entered into it,” says Goldsmith, quoting from the inscription in the Stanford Memorial Church that inspired the title for the book. To embody the principles set forth so clearly in this book is to experience that newness of life that makes the whole world new and unexpectedly wondrous. The World Is New helps the reader with that investigation, setting forth the breadth and depth of Goldsmith’s teaching with unequalled clarity, and teaching the spiritual practices that will bring the seeker to the spiritual freedom that is attained when we touch the Christ of our own being and actually feel the divine Presence within us. This book is the edited version of an early manuscript titled “The 1948 San Francisco Lectures.” There are no corresponding recordings.